I saw this today on yt! 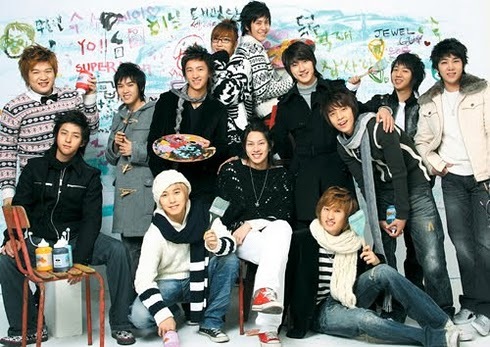 Super Junior Happy in the practice room with Cooking Cooking (Yoriwang). When I get stressed I tend to post a lot of things! kk 🙂 so my blog gets flooded! Awesome intro! kk 🙂 Eunhyuk’s powerful dance.. But I think the highlight was seeing Kyuhyun wearing shades! kk sorry Siwon but Kyuhyun looked really good!!!! Congrats to the boys and to all the winners during the Golden Disk Awards! After School has finally made their come back as a whole group. This time they have a Christmas themed song called Love Love Love. Yes, it sounds like a Christmas song.. however, it does remind me of a mix of Britney Spear’s Santa My Only Wish (This Year) and Mariah Carey’s All I Want for Christmas is You. But still it’s a festive song. UEE plays the girl lead in this MV. This song is currently on my playlist. The new IU music video is out! I love this girl since I saw hear singing all those acoustic tracks, she’s absolutely talented and her voice is really unique! She is back with her new track called Good Day (좋은 날). For her new album, she has changed her concept, showing everyone that she has now turned into a lady! 🙂 The song gives you a retro kind of feel. And I love the vintage concept with her clothes.. its definitely something different. I think the kind of clothes she wore in the MV will be in the fashion scene one of these days! kk I also love her eye make-up. The message of the song is different from all those songs she had before. I think it’s nice as she is trying to re-invent herself and do away with the cute little image she had. Well she is still cute in this video, but the grown-up kind of cute. The one thing I don’t like about it though is the dance routine.. kk it looks like another idol dance routine. Sorry IU.. I like your music, but I don’t like the dance routines, I would prefer you would grow to be a singer like Baek Ji Young who could do a pop as well as a ballad music. 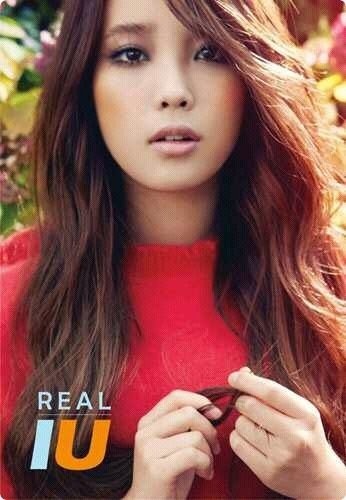 Looking forward to more of IU soon! It was reported about a month ago, that they have been featured on CNN Talk Asia. At that time, it was just part of the whole interview. And so I bring you the whole CNN Talk Asia feature. Kudos to them for spreading the Hallyu wave!! Christmas is definitely in the air. And this year Jellyfish Entertainment has given us an early Christmas present! Artists who are signed under the label have come together to make an album this Christmas. The album is aptly titled Jelly Christmas. And their first title track is called This Christmas. And since ’tis the season of giving, it is said that a portion of the profits of the album will be donated Snowmen Making Miracles‘ campaign by NGO Good Neighbors in order to aid starving children overseas. Cool! And this is why I love Christmas!